It is a rare sight when people from different communities come together to celebrate a festival that is equally auspicious for all of them. One such rare event was Baba Ramdev Jayanti on August 23 when more than an estimated 16 lakh people from Rajasthan, Haryana, Punjab, Gujarat, Madhya Pradesh and even far away West Bengal, came together and patiently stood in a four kilometer- long queue to worship the folk deity of the Thar desert and take a holy dip. The celebrations will continue in Ramdeora, 10 Km from Pokhran town in Rajasthan’s Jaisalmer district, till August 31. 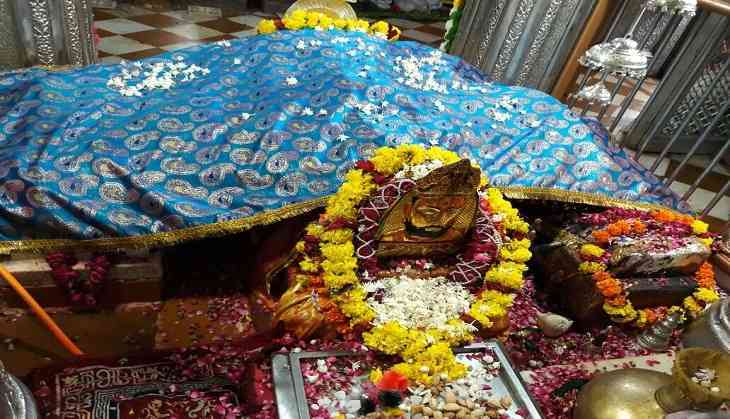 The legend has it that Baba Ramdev or Ramdev Pir was the son of King Ajamal and Queen Minaldevi of Pokhran. The couple remained childless for many years. They then went to Dwaraka and prayed to Lord Krishna and expressed their desire to have a son like him. Later they were blessed with two sons and Baba Ramdev or Bhiramdev was the younger one. He is believed to be the 72nd descendant of the Pandava king, Arjun. Not only Hindus but even Muslims venerate Ramdev as 'Ramshah Pir’ since it is believed that Pirs from Mecca came to test Ramdevji and after witnessing his powers, they paid homage to him and named him Rama Shah Peer. Devotees at the holy festival were seen offering wooden horse toys, clothes and several other items. The reason why the devotees offer wooden toys and clothes is, as a young child Ramdev's father (King Ajamal) ordered a wooden horse toy for him. The toy maker took the costly cloth from the king but instead used an old piece of cloth. And when the young Pir sat on the toy, it leaped into the air leaving behind the old cloth that was used by the toy maker. The king was shocked to see the horse live and the toy maker then apologized for cheating. The decorated temple, several food stalls and the belief of people from all caste, creed and religions have clearly set the festive mood in Ramdeora.